Our services can help our clients lead as independent and fulfilling a life as possible, whilst caring for a wide range of complex conditions. Our nurses are specifically trained to ensure the highest quality standard of care is provided to adults as well as younger children. 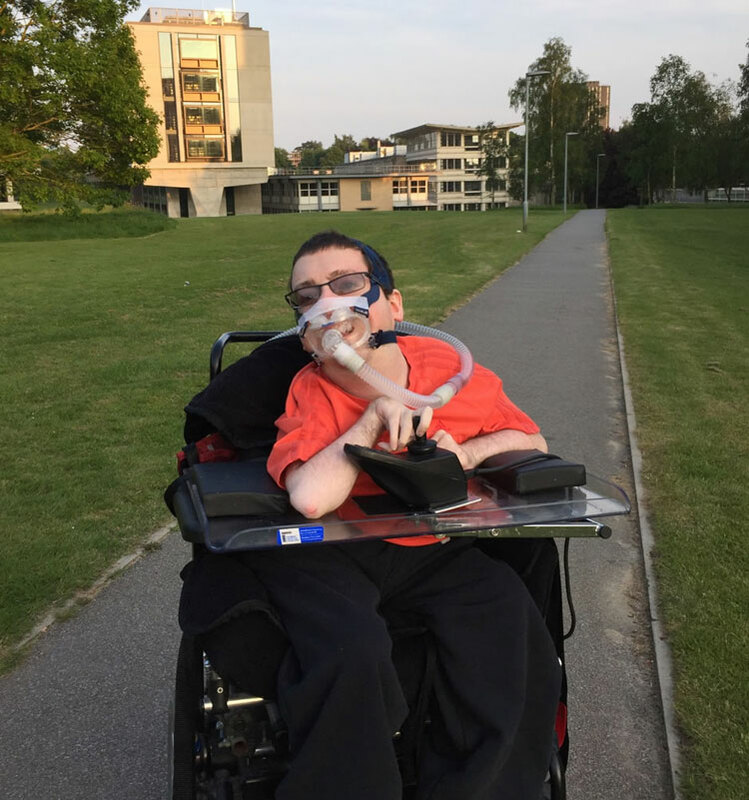 Since a very young age, Andrew has suffered from an undiagnosed muscle weakness and scoliosis, which has meant that his childhood and progression into adulthood has involved a range of complications. 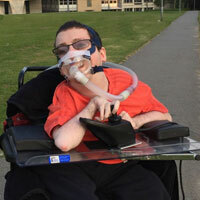 Now a young man at 22, Andrew’s conditions have left him requiring the use of a ventilator and electric wheelchair, whilst also having to rely on others for his personal care. Like many others, Andrew has certainly faced challenges in his life, but he hasn’t allowed anything to stop him enjoying his life and living it to his full potential. He shows a great desire to constantly further himself and push the boundaries of what he can achieve. 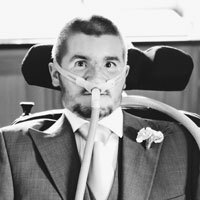 In daily life, Andrew loves nothing more than playing video games, watching TV and movies, heading to the cinema and going for days out like any other 22-year-old would. On top of that, Andrew is a driven, ambitious and intelligent young man who never allows his illness to get in the way of furthering himself. Andrew is currently undergoing the completion of a degree in History at the University of Essex, where he frequently tops his class when it comes to exam results. At InVent Health, we’ve been by Andrew’s side from day one, supporting him through the transfer from child to adult services and throughout his studies, 24/7, including in the classrooms at University. It’s an absolute pleasure and inspiration to see Andrew continue to grow and develop in to the fine young man he is. A pleasure which will continue through all that Andrew will achieve in the future too. The names featuring in all case studies were changed for client confidentiality reasons. 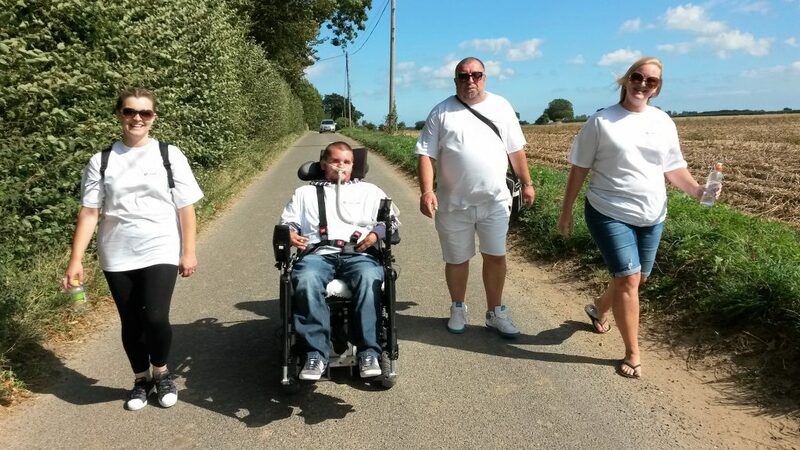 My name is Steven, I am 31 years old and have Duchenne Muscular Dystrophy. As a result of this I have very little movement in my whole body and can only move one hand ever so slightly. I also rely on a ventilator to assist with my breathing, as the muscles in my chest are weak. I live at home with my parents who have always provided me with the highest degree of care they possibly can, but the reality is that I need 24-hour care. Back in 2008 I was placed under the ‘Continuing Care’ team who referred me to InVent Health. Since that time my needs have steadily increased due to the natural progression of the disease and InVent Health has provided me with all the extra help I need, and more. They provide me with a mix of overnight and day care that has allowed my parents to have a full night’s sleep and some respite during the day, whilst equally providing me with a degree of independence in my daily life. My InVent Health team are always extremely helpful and friendly, and a genuine pleasure to be around. They are highly trained and I trust them completely, and on a daily basis they show full commitment towards enabling me to make the most of the situation I am faced with. Additionally, there is always great support offered from the management and nursing team, and all the staff I have encountered have genuinely had my best interests at heart. I would have no hesitation in strongly recommending InVent Health to anybody with complex care requirements. A further case study will be added here shortly.